Perishable Product! Delivery of perishable products is limited to overnight service and may not be available to your area. Please refer to the Shipping Calculator below and Terms & Conditions. 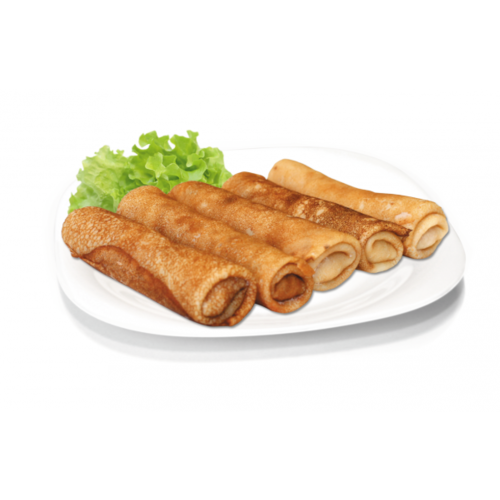 Classic Russian crepes blinchiki blini. One of the favourite and popular Russian food is a pancake called blini, also known as blinchiki in the Russian speaking world and as crêpes elsewhere. 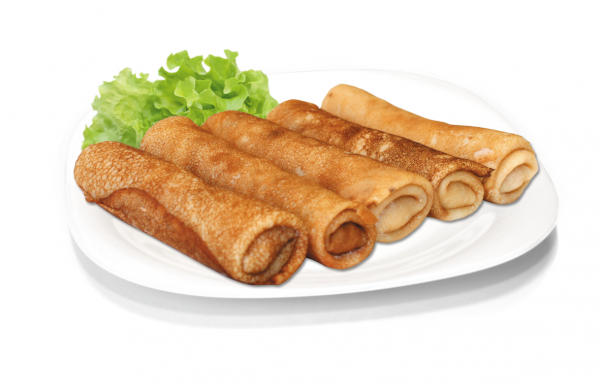 Our blinchiki are delicious stuffed crepes with various meet, savory and sweet fillings. 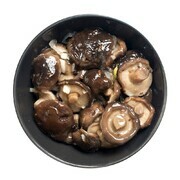 Defrost and brown them on both sides in a little bit of butter or just warm it up in a microwave. Stuffed blinchiki make a perfect appetizer or a breakfast dish, or just a go-to snack any time of the day. Kids are especially fond of them. 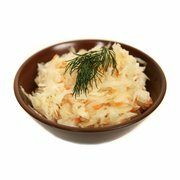 It’s a favorite breakfast in many Russian families and we aslo love that it can be prepared ahead of time making it the ideal healthy snack on demand. 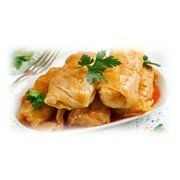 A filling such as jam, fruit, potato, quark, cottage cheese or farmer cheese, cooked ground meat, cooked chicken, and even chopped mushrooms, bean sprouts, cabbage, and onions (for a Chinese eggroll-type blintz) is rolled or enveloped into a pre-fried blintz and then the blintz is lightly re-fried, sautéed, or baked. Blini were symbolically considered by early Slavic people in pre-Christian times as a symbol of the sun, due to their round form. They were traditionally prepared at the end of winter to honor the rebirth of the new sun (Butter Week, or Maslenitsa, also called "pancake week"). This tradition was adopted by the Orthodox church and is carried on to the present day. Hand made by Ruski Way Deli & Cafe. 1 serve includes 4 crepes with identical filling. While we work to ensure that product information is correct, on occasion manufacturers may alter their ingredient lists. Actual product packaging and materials may contain more and/or different information than that shown on our Web site. We recommend that you do not solely rely on the information presented and that you always read labels, warnings, and directions before using or consuming a product. For additional information about a product, please contact the manufacturer. Content on this site is for reference purposes and is not intended to substitute for advice given by a physician, pharmacist, or other licensed health-care professional. You should not use this information as self-diagnosis or for treating a health problem or disease. Contact your health-care provider immediately if you suspect that you have a medical problem. Information and statements regarding dietary supplements have not been evaluated by the Food and Drug Administration and are not intended to diagnose, treat, cure, or prevent any disease or health condition. 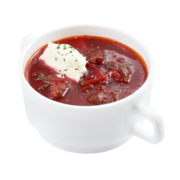 Ruski Way Deli & Cafe assumes no liability for inaccuracies or misstatements about products. Help other Gourmet Planet Pty Ltd users shop smarter by writing reviews for products you have purchased.